Samford University’s fifth annual Big Give is May 18–19 with a target of raising $55,000 in just 36 hours. The Big Give has engaged alumni in new and innovative academic and outreach campus projects. In 2016, the event exceeded the number of donors in comparison to 2015’s campaign from 376 to 434. 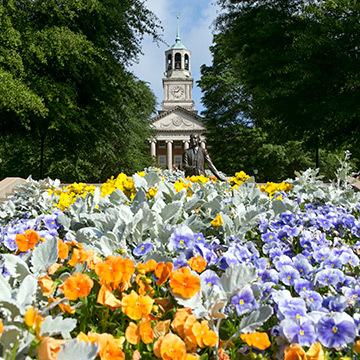 The Big Give is a crowdfunding initiative to engage alumni, friends of Samford and the community in 10 projects that represent a variety of needs across campus. Each project fits within the theme “Better Together,” highlighting cross-campus and community partnerships. The projects each set a fundraising goal and keep their audience posted on the need for meeting the goal by the end of the drive. With the short timeframe, Samford’s Big Give uses social media to promote the campaign and provide project updates. Follow along and get involved through the Big Give’s official hashtag, #SUBigGive. Samford social media accounts on Facebook, Twitter and Instagram will have updated information throughout the campaign. Find a project that speaks to you. Email and social media also will have information on prizes and giving challenges designed to amplify the impact of contributions. Avery White Scholarship Fund, Brock School of Business—Following the death of Brock School of Business senior Avery White Jan. 30, 2017, the goal is to fully endow a scholarship so that a Brock School student will be awarded a $2000 scholarship each year in perpetuity to permanently honor his legacy. Create a New Bulldog Mascot, athletics—With his costume threadbare and a new Bulldog logo in place, it is time for Spike to pass the bone to his cousin SAM. Donations will help create SAM’s custom costume in the image of the new logo. East Side Academic Enrichment and Sports Camp, Orlean Beeson School of Education/Mann Center for Ethics and Leadership—Orlean Beeson School of Education and the Mann Center for Ethics and Leadership are working to produce a summer camp for students at Cornerstone Christian School and New Rising Star Charter School. This is an academic enrichment opportunity that utilizes athletics to engage students and combat summer learning loss. Healthcare 360: Seeing is Believing, College of Health Sciences—Healthcare 360 fosters interprofessional education between McWhorter School of Pharmacy, Ida Moffett School of Nursing, and the Department of Health Informatics and Information Management through the use of virtual reality. Funding will be used to enhance and, more importantly, expand the reach of the Healthcare 360 scenarios. IMPACT (Inspiring Minorities to Pursue Academics and Community Together), Office of Diversity and Intercultural Initiatives—IMPACT promotes a successful social and academic experience to underrepresented groups. The goal is to increase the academic, career and social success of first-year minority students by helping develop a sense of being connected to the larger Samford community. Reading of an Original Play in Parliament, School of the Arts—Samford Associate Professor Mark Castle has written a play based on the true story of the Somerset Case about a slave who fled captivity in England more than 250 years ago and has been invited by the Houses of Parliament to share a reading of his play in conjunction with the UNESCO International Day of Remembrance of the Slave Trade. The play will be presented by theatre students who will travel to London after participating in a play festival in Edinburgh, Scotland. Samford Goes to Washington, Samford in D.C. Program—Samford works with the Washington Center in D.C. to provide students with rewarding experiences, primarily hands-on learning and internships. With D.C. as the classroom, students help expand the university’s footprint in the city. These internships lead to extraordinary careers. STORI, Oral History Program—STORI works in collaboration with other departments and community organizations to serve Samford, the Birmingham community and the state of Alabama by preserving our shared history, and providing a platform for students, researchers and alumni to engage in the past. Students in any field from biology to journalism are trained to capture and preserve Samford stories and community history for future generations. Studio Remodel for Samford News Network, journalism and mass communication—The TV studio used by JMC, marketing communication and the interdisciplinary film-production minor needs new furniture, lighting, cameras and backdrops to stay current with studios of peer institutions. Social Work Scholarship to work with Refugees: Better Together with World Relief—This project would establish a scholarship for a Master of Social Work student who is motivated and committed to working with refugees at World Relief during an internship requirement. World Relief, a Christian organization, is one of nine agencies that works with the U.S. State Department to help integrate refugees to their new life in the U.S.
Karen Templeton is director of annual giving. She can be reached at ktemplet@samford.edu.